So...I really want to keep up with this blog but I am short on time so I'm going to be trying out this new format. I'm focusing more on video reviews but I know some of you prefer pictures and words. 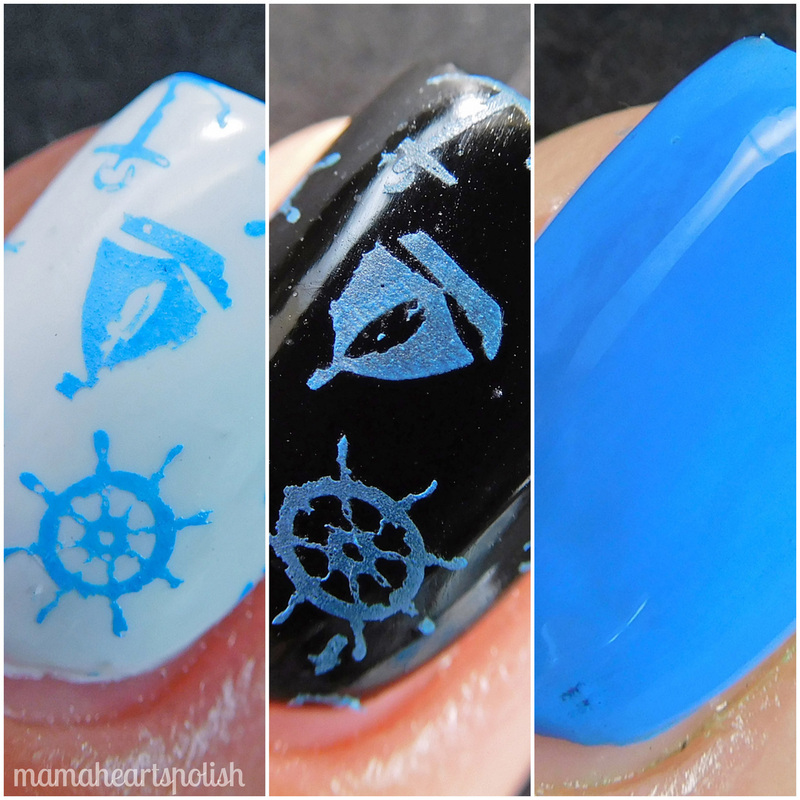 What I'm going to be doing is keeping it simple, a few swatches and polish descriptions with just a general review. To see things like formula and application, please see the complete video review. I'm not testing dry time or staining cause I'm not wearing the polishes long enough for that. 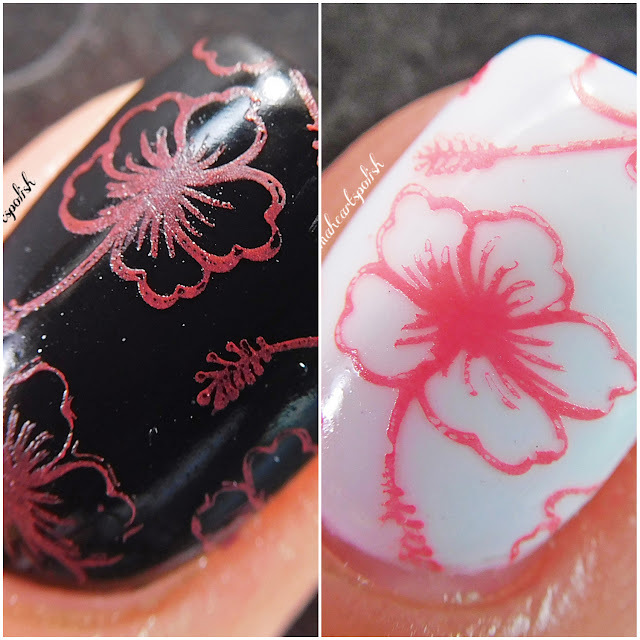 OK...so Miranda from Ever After is venturing out into the world of indie stamping polishes and she sent me the latest set to swatch and review. These are the Neon Stampers. I've edited photos to be as color accurate as possible but keep in mind that it's impossible to capture neons accurately on a screen. They will always have a glow to them that the camera lens just can't capture. For all of them, they are brighter and more "neon"than they appear in the photos. 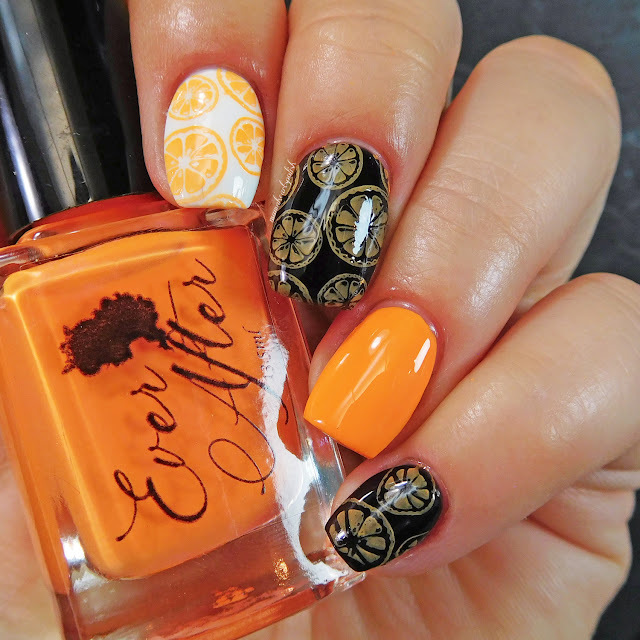 Formula is nice and easy to work with, the yellow being the least opaque (but that is normal even for stamping polishes). 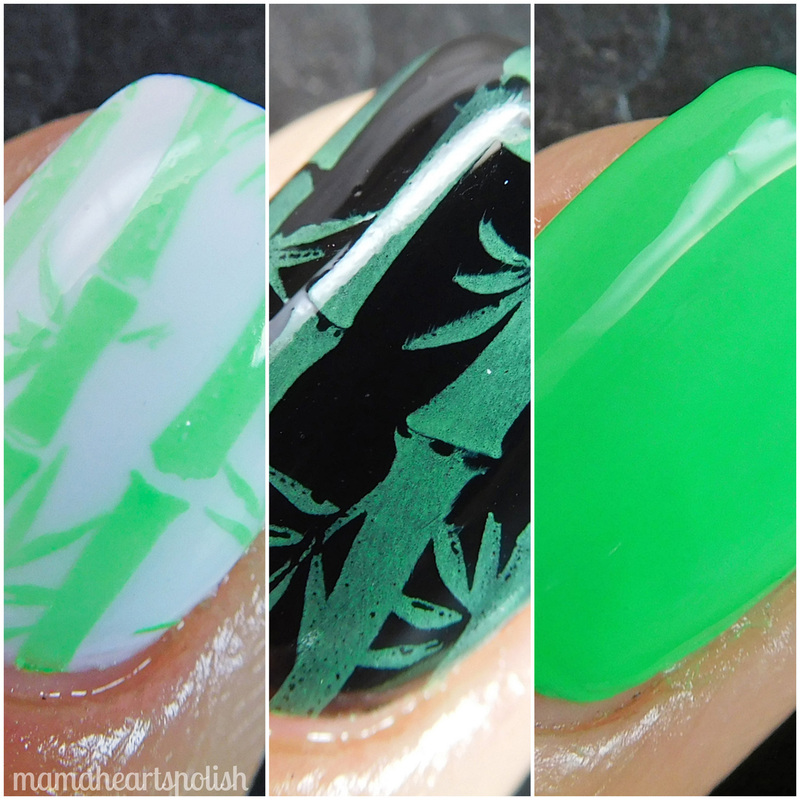 Swatches are done over a gel overlay, all have topcoat over the ring finger. 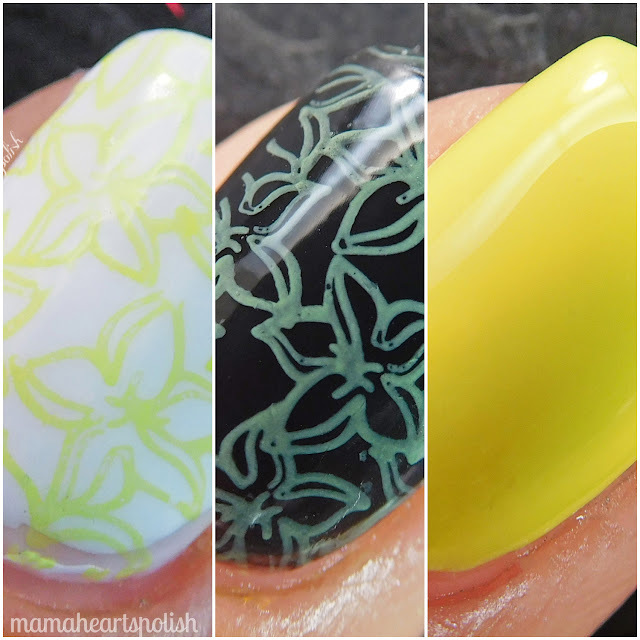 I used several plates and stampers, please check out the video to see which ones. Scroll all the way down for video. Kristy - fireball neon red. Laura - lemon yellow neon. *note the stamping over black, my camera freaked out. See macro for better color representation. Kayla - kiwi neon green. Rae - cobalt blue neon. Rachel - flamingo pink neon. 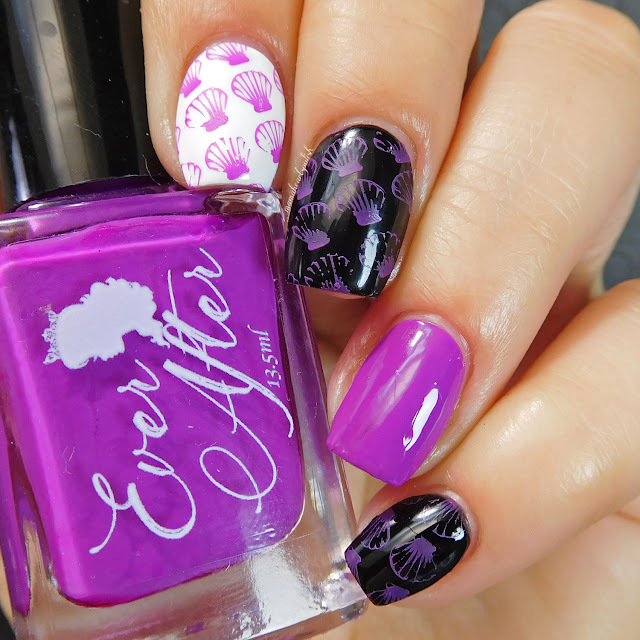 Annabelle - grape purple neon. 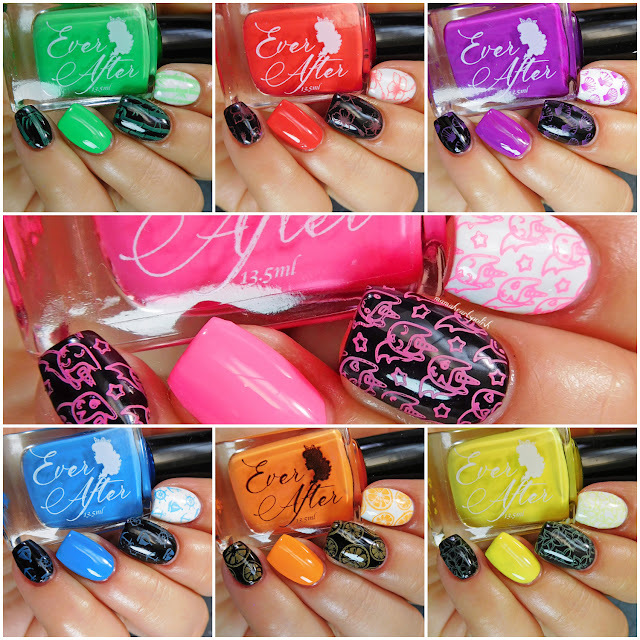 The Neon Stampers from Ever After are available at www.everafterpolish.com and are $8 each. I received the polishes as press samples in exchange for swatches and a review. 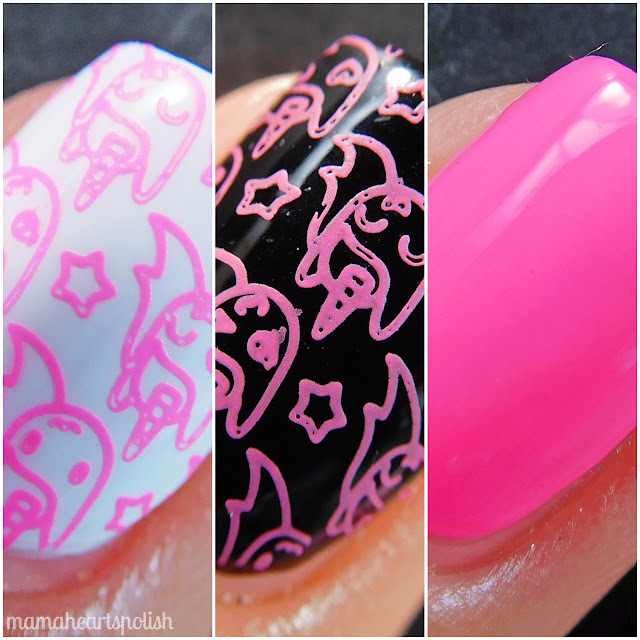 1 comment on "Ever After Neon Stamping Polish - Indie Polish Swatch and Review"
Love these nail art! So adorable!